Ramsay Wood is a writer with a background in photography, journalism, small business and teaching dyslexic children. He was brought up the US, the Philippines, Belgium and Vietnam. He now lives in London. 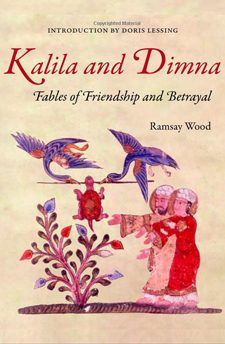 His fascination between the muted literary heritage of folktales from the page compared to their wild impro-delivery by marketplace storytellers began with his travels in Morocco, Turkey and Tunisia in the 1970s. 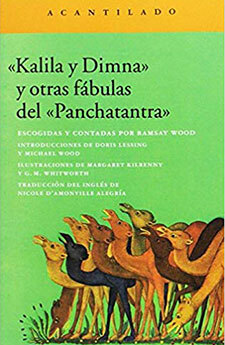 His first book Kalila and Dimna — Selected Fables of Bidpai was published by Knopf in 1980 and over the next 30 years was translated into Italian, German, French, Spanish and Indonesian. A revised Random House India English edition was published in 2010. 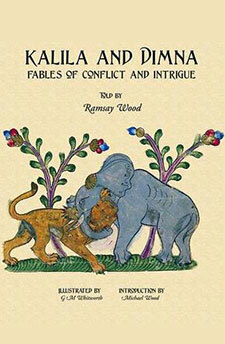 His second book Kalila and Dimna — Fables of Conflict and Intrigue was published by Medina in 2011. These stories speak to and belong to the whole of humanity… What Ramsay has done over the last 30 years is to have made the version for our time. Michael Wood historian, BBC broadcaster and author of The Story of India. … here, under AUTHOR UPDATES, is the first video from Wood’s culturally-challenging 2009 ICR Lecture (in three clips — as required by Amazon, the next two require separate vid-clicks). Pungent and vigorous. . . a wide range of appeal. 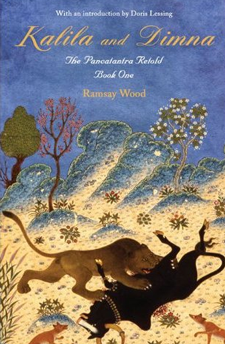 When Ramsay Wood retells a story he makes a proper job of it: not for him those pale imitations of a nobel original which is what your average reteller palms off on his readers. 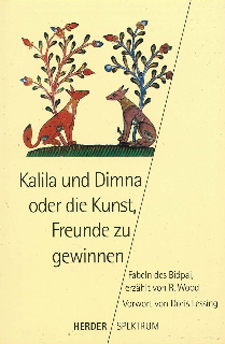 A beautiful book full of mirth and human interest and unsentimental wisdom and vigorous writing. Jewels of story-writing, narrated with the psychological insight, subtle rhythms and changes of pace of a veteran. Playful, allusive, richly ambiguous, teasing in their narrative complexity and yet deceptively clear in their resolutions: immersing oneself in the world of this trickster is to savour the pleasure of reading at its most intense. . . .What Ramsay has done over the last thirty years is to have made the version for our time. 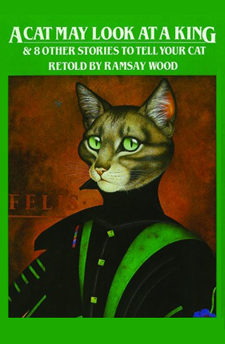 Unique retelling… may well jolt literary sensibilities tuned to the solemnity or quaintness of our best known versions of animal fables.